Characters in Flight – Experience Disney Springs® From The Top! Experience Disney Springs® From The Top! Have you ever had a dream of flying, where you are gently floating among the clouds? 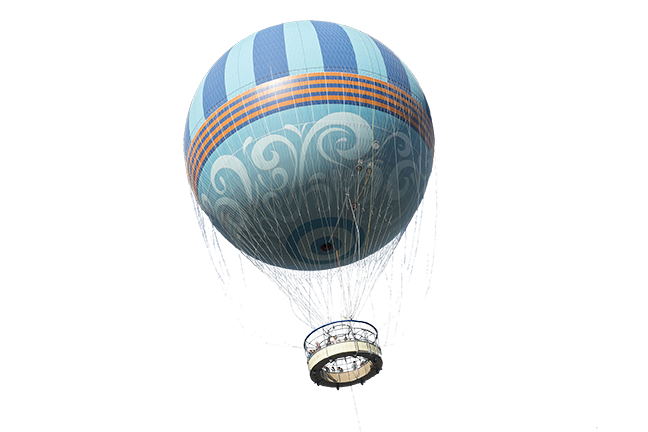 You will gently float over the Disney Springs area of the park, in the world’s largest tethered helium balloon. When considering your vacation itinerary and you are searching for things to do in Orlando get ready for the the most peaceful but exhilarating Adventure of your vacation, a ride on the Aerophile Balloon is a MUST Do Experience! as you gently ascend 400 feet in the air. As passengers arrive at Aerophile Balloon, imaginations will soar as you approach the the brightly colored Balloon, you realize the you will be flying with Tinker Bell, the friendliest of all fairies, Dumbo, Aladdin, Buzz Lightyear and several other Disney Characters. Moments like this are few and far between, be sure to capture those family memories forever. As we lift off you will be afforded a unique view of the world from our gondola. Your pilot will be your guide for the next 8 – 10 minutes. They will take you on an aerial adventure where you will float high in the sky, experiencing the awe inspiring and breathtaking 360 degree views. Feel free to ask any questions of your pilot they truly enjoy sharing their knowledge of the area. 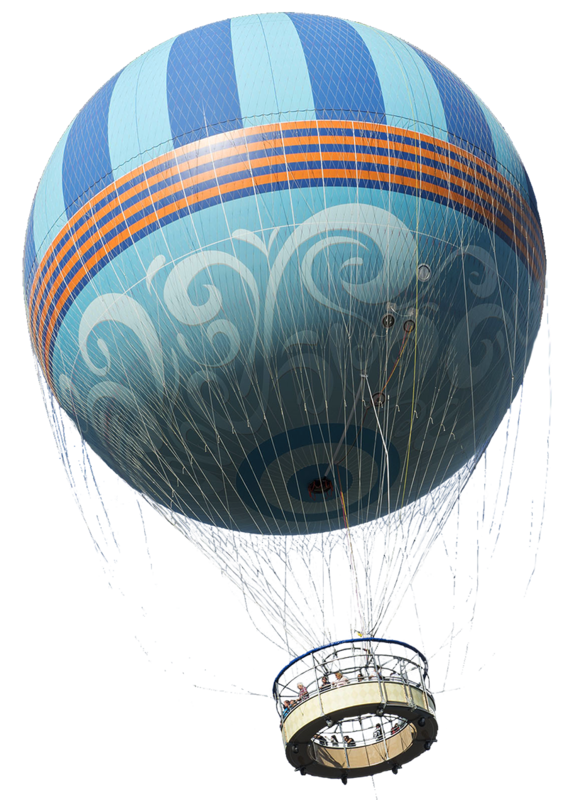 Aerophile Balloon was custom-built for Disney World by Aérophile S.A., a Paris France headquartered company. The Aéro30 was specifically designed and constructed to feature the silhouettes of some of the most recognizable Disney Characters associated with flight. The Balloon is filled with 210,000 cubic feet of Helium. The balloon’s basket / gondola is 19 feet in diameter and holds up to 29 people plus one Aérophile-certified Pilot per flight. While flying guests will be treated to spectacular views of up to 20 miles away, views can vary depend on weather conditions at time of flight. · Check in for all necessary information, including Guest restrictions and wheelchair accessibility. · Maximum capacity is affected by wind speeds. The balloon will not fly if winds exceed 28 mph in the air, 18 mph on the ground or if there is a storm or lightning in the area. Please note that the balloon is tethered and will not travel beyond 400 feet at any time. · Bags, food and drink, smoking and strollers are not permitted. Guests must transfer from their motorized scooter or ECV to an available wheelchair to experience this attraction. · Guests over 12 years of age are permitted to ride by themselves. However, children under 12 years of age must be accompanied by an adult (18 years of age or older). © 2017 Characters in Flight. All rights reserved.